Running Windows 7 or 8.1? Microsoft wants you to upgrade to Windows 10. What’s that? You don’t want to? You want to keep the using the OS you like and paid for? Well, tough. You don’t have any choice in the matter. Except, you do. While Microsoft’s nasty methods mean it’s getting harder to reject the new operating system, it can still be done. This is what you need to do. Firstly, if Microsoft hasn’t already downloaded and started installing Windows 10 without your knowledge, make sure recommended updates are turned off on your Windows 7 or 8.1 PC. We’ve covered how to do this in a previous post, and you can hide the update too, which will prevent you accidentally installing it yourself by mistake. Microsoft forcing Windows 10 on people without their consent is a running theme, so naturally we’ve covered how to stop this previously. 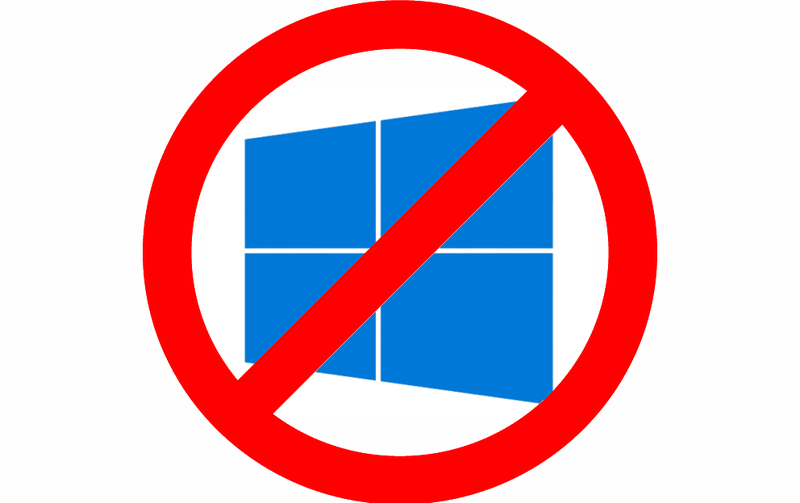 You can block the Windows 10 upgrade using Group Policy (only available on Pro, Business and Enterprise editions) or a registry tweak, by following the instructions we posted here. Make no mistake, Microsoft will find new ways to nag you into upgrading to Windows 10, but you can block the Get Windows 10 pop-ups on your PC using GWX Stopper. We covered this here. Finally, we’d definitely recommend you install the excellent GWX Control Panel. Launch this and it will tell you if the Get Windows 10 app is running and enabled, whether Windows Update OS upgrades are enabled, and whether Windows 10 download folders were found on your PC and, if so, how much space they are wasting taking up on your system. The tool will let you disable the Get Windows 10 app, block OS upgrades in Windows Update, and delete Windows 10 download folders. If you really don’t want Windows 10, then this is your best line of defense against it.